The 2015 LaceUp ambassador team is a group of key members of the Southern California running community. They spread the word on LaceUp at the grassroots level and represent the race series in their everyday lives. Get to know some of our ambassadors, and find out what fuels each of them! Become a 2016 ambassador! Learn more. Biggest running accomplishments have been completing marathons, and becoming a smarter runner through cross-training and improved diet. 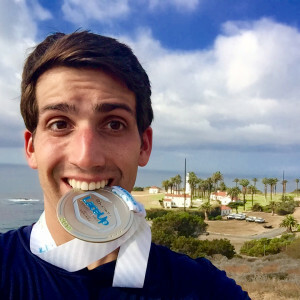 His next goal is to run a 2:45 at Surf City Marathon. He has dual citizenship with the United Kingdom. Sarah also collects Disney pins and squished pennies. His biggest running accomplishment was running his first Half Marathon at 40 with a finish time of 1:45:21! He is an actor and a musician. He has been in several independent films and has also released an album. 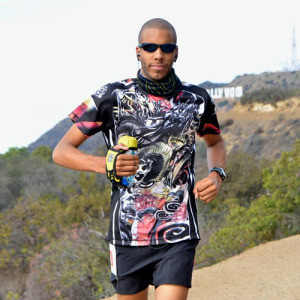 A goal of his is to complete a 100-mile race by 2016. Perry the Platypus from Phineas and Ferb is his favorite Disney character! 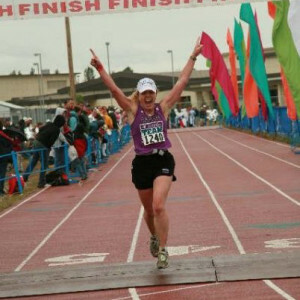 Her biggest running accomplishment was qualifying for and completing the Boston Marathon nine years in a row. She would like to break 3:30 in the marathon. 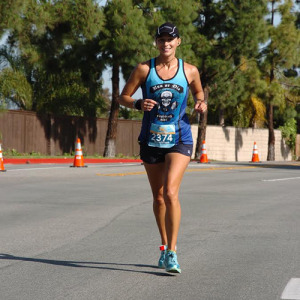 Her biggest running accomplishment was continuing to run “against medical advice” and in so doing, proving that the mind is more powerful than the body and bones. She would love to run an Ultramarathon and is thinking about Catalina in January 2016. She can eat more ice cream than anyone she’s ever met. 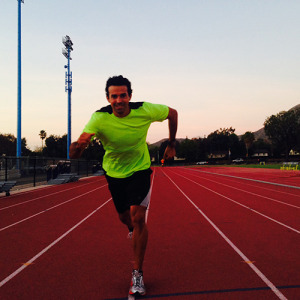 His biggest running accomplishment is running over 1,000 miles this year. He wants to run a 5k in sub 16:50 this year. Josh loves baking cookies and sharing them with friends! 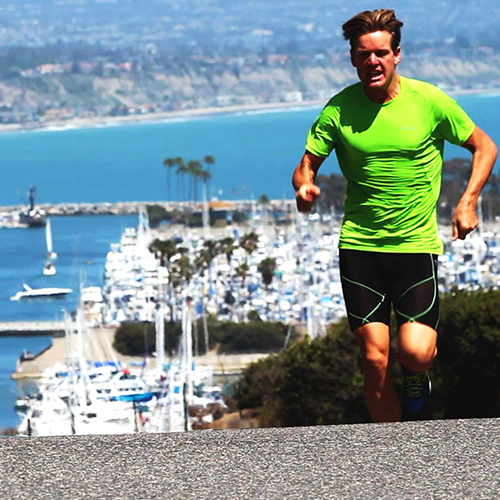 He would like to compete in all of the World’s 15 Toughest Marathons, Ultramarathons and compete in IRONMAN races. Jonathan loves traveling the world and he served in the Army. 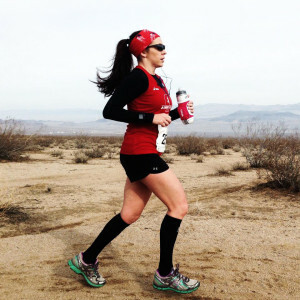 Her biggest running accomplishments are tied between qualifying for Boston for the first time and completing her first sub 24-hour 100-mile Ultramarathon. She’s a U.S. Air Force veteran. 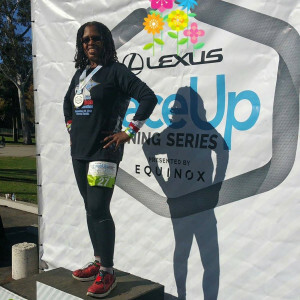 Toni finished the Ventura Lexus LaceUp 5K and won her age group. She hopes to do at least a 10k next year, and she finds the Half Marathon alluring. She is a dual American/Canadian citizen. Teon loves the running family he has created. Friends he has met through running can all enjoy training and running races together. He hopes to complete the Dopey Challenge at Disney World. He loves ice cream. After every race he goes with friends to a random mom-and-pop ice cream shop in the town the race was held. 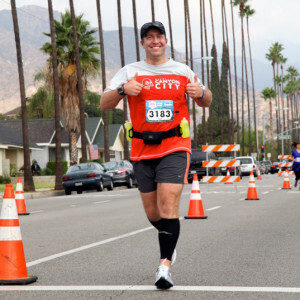 Steve’s biggest accomplishment was racing a 10K, eight days after being in the ICU with meningitis. He was able to run it at a 7:35 pace. He would love to run the HURT 100 in Hawaii one day. His all time favorite thing to eat is vanilla pudding. 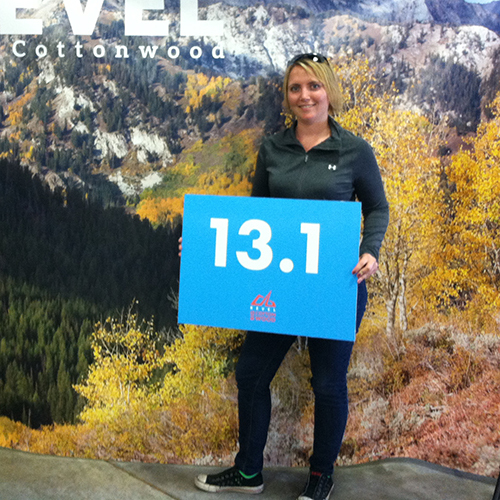 Her biggest running accomplishment to date is running two half marathons in 14 days. 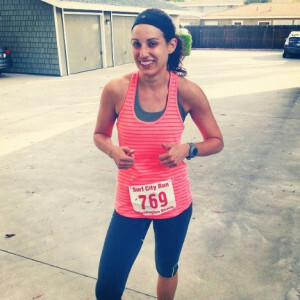 Her current running goal is to run a half marathon in under 2 hours. Tania cannot purchase “snacks” for her home due to a complete lack of diet discipline. 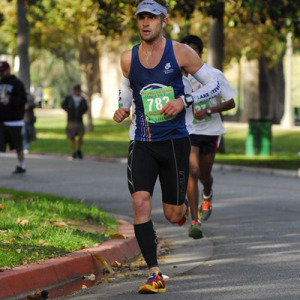 Kevin was thrilled when he finished his first major race in October 2014 at the Rock ‘n Roll Los Angeles Half Marathon. He’s looking forward to completing the LA Marathon in March 2015, which will be his first marathon. 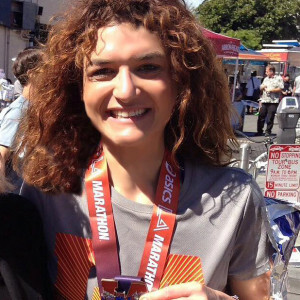 Her biggest achievement was finally reaching a sub-2 hour half marathon after a year and a half of pursuit. 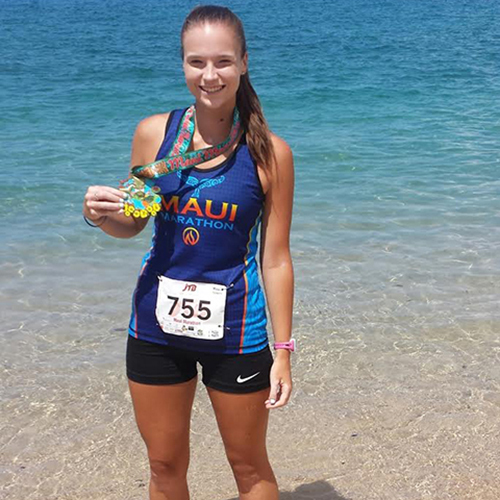 This year, her goal is to PR her marathon time – maybe twice! Megan has lived in California, Arizona, Texas, and Georgia, but is glad to call California home. 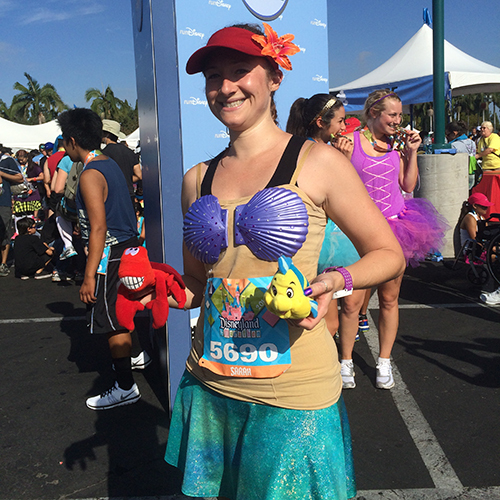 Her biggest achievement was running San Diego Rock N Roll 2014 as her first full marathon after her brain aneurysm. This race is very special because it represents an important milestone. She is participating in the “2015 In 2015 Challenge”. 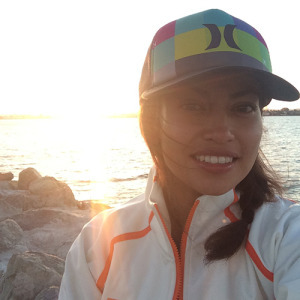 This year she will be running, walking and hiking a total of 2015 miles. She has an insatiable appetite to try new and unusual foods. As long as a culture defines it as food, she wants to know what it tastes like. 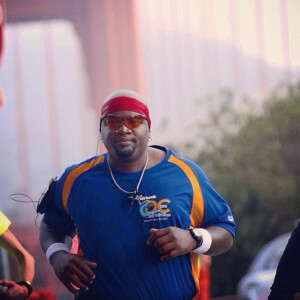 “When I run I am reminded that I am much stronger than the limitations I place on myself. 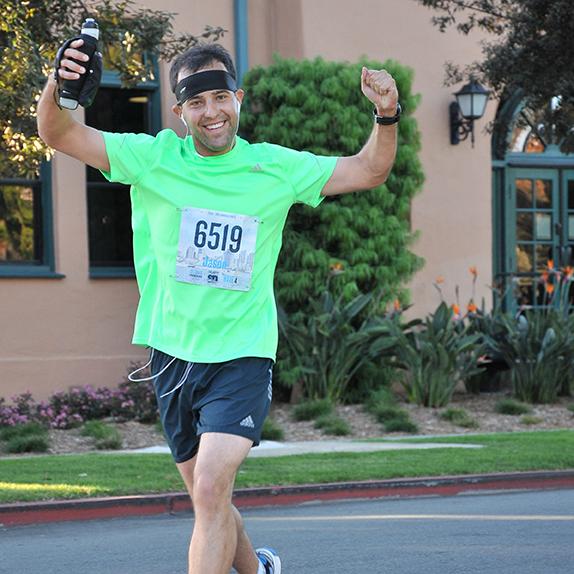 Not only does running build physical endurance, it builds mental strength as well. Her biggest achievement was running her first half marathon with minimal training, and running a half marathon every month ever since. A running goal of Christie’s is to run a sub 2 half marathon and complete a full marathon in 2015. 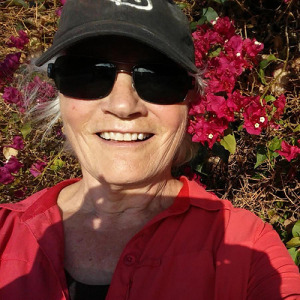 She has traveled to Central America by herself to explore. 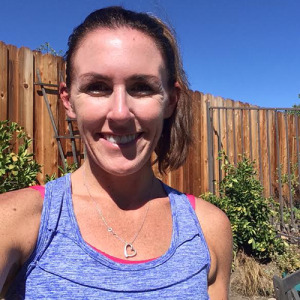 Her biggest achievement was running her first ultra last December – The OTHTC High Desert 50K – after years of saying she would NEVER run an ultramarathon. A goal of Kelley’s is to qualify for Boston by the end of the year. 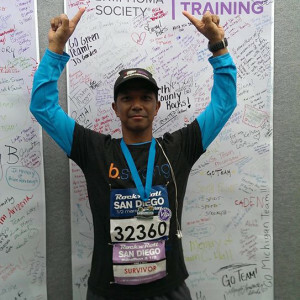 His biggest achievement was running 3 half marathons (in two different states) in a day and a half. A goal of Scott’s is to complete all 6 of the World Marathon Majors (Boston, NY, Chicago, London, Berlin, Tokyo). He’s the screenwriter for the SHARK ATTACK trilogy of B-films. 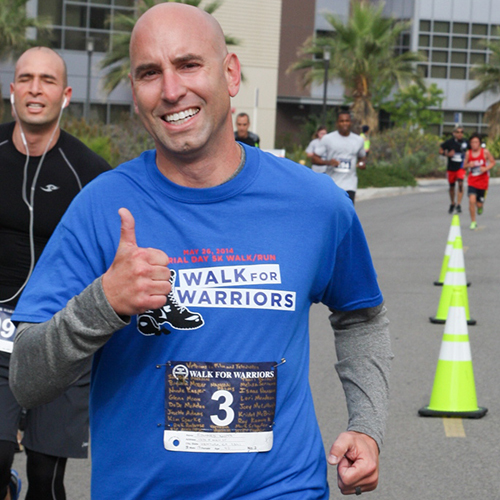 His biggest accomplishment was when he ran his first race after treatment. 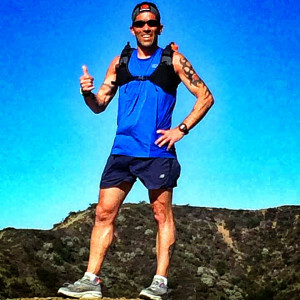 A goal of his is to run a 50K. 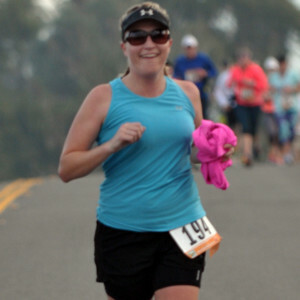 Her biggest accomplishment is running 36 half marathons and 3 marathons since March 2012. 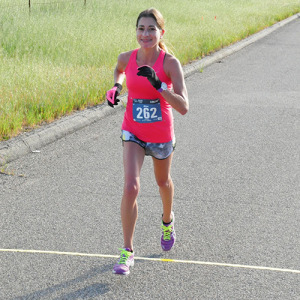 Two goals of her’s are to finish 50 half marathons by year 2016 and run 2,015 miles in 2015. Don’t be surprised if you see her out on course in a costume. She has a particular fondness for superhero characters. 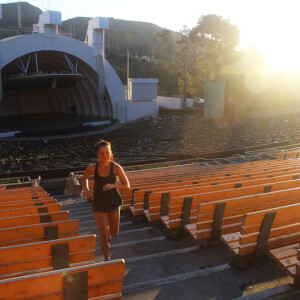 Her biggest running accomplishment so far was running 2,000 miles in 365 days. 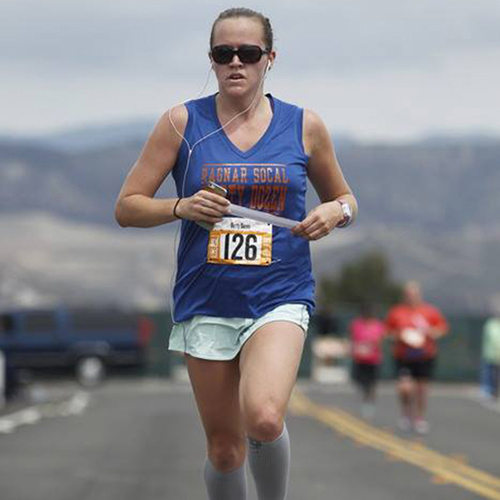 One of her running goals is to run an ultra-marathon. One time Colleen showed up as Director of Photography for a hair-modeling commercial shoot and ended up as the model. 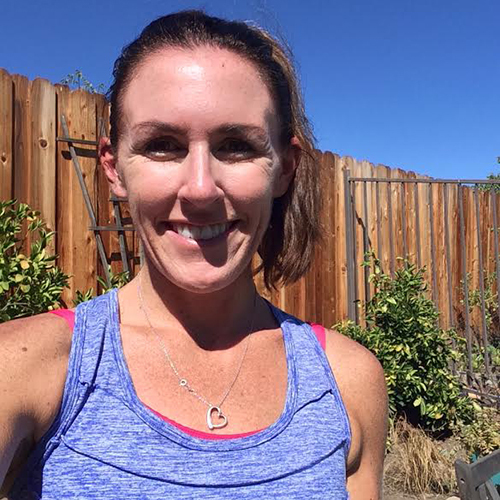 Her biggest running accomplishment was improving her marathon time by an hour after a 10 year hiatus. Her running goal is to qualify and then run Boston. Becky can’t run without gum. 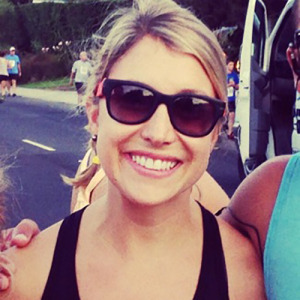 Her biggest running accomplishment was running a 1:47 half marathon at the Big Sur on Monterey Bay in November 2014. Her running goal is to break 1:45 in the half marathon and to run a marathon in another country. Allie has a food blog called sweet potato bites because sweet potatoes are always a part of my pre-race meal! 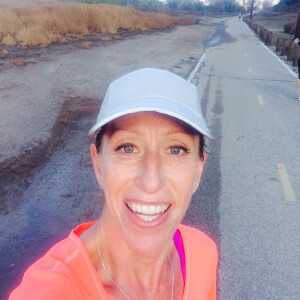 Her biggest running accomplishment was running her first half marathon in May of 2012, from the mountains of Ojai to the beach of Ventura, and meeting her goal of finishing in under 2 hours. 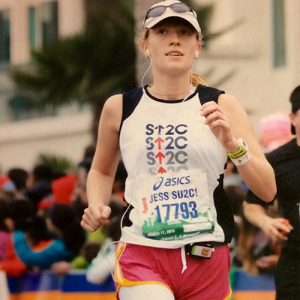 A major running goal of Tess’ is to qualify and run the Boston Marathon in the next two years. Tess can eat an entire jar of peanut butter in one sitting.